We escaped the city for life on the farm! Joe & Mandy met in Tallahassee, Fl. while attending college in 1996 and have been like 2 peas in a pod ever since. We finished school & moved to Phoenix, AZ to start our careers & do some hiking! We spent 11 years there enjoying the desert scenery, pursuing our careers & living it up with great friends. While we loved Arizona and the diversity of the culture and people who call it home, we wanted to farm for a living! 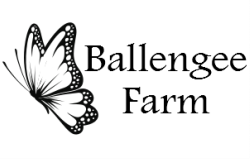 So we quit our careers, traded in our alarm clock for a rooster & moved to our family farm in PA in order to live a more simple, self-sufficient lifestyle and to create "Ballengee Sustainable Farms". We've always had a love for science, art & nature, been good at doing things for ourselves & growing gorgeous gardens so we figured what the heck! We can do this! We had also been making our own soap for the previous year after searching for products that use ALL natural ingredients with low or no environmental impact and saw an opportunity to establish a TRULY NATURAL soap business to compliment our organic fruit, veggie and chicken operation. We started attending local craft shows and the weekly Ferry Street Growers' Market in Danville, Pa. Local businesses like Bloom Naturally, Natural Food and Garden Store and Bason's Coffee have also helped to make our products widely available. We continue to grow every year because of the appreciation our customers have for quality and our commitment to being a positive effect on our community and environment. Thanks to all! 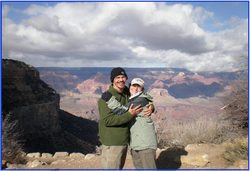 ...just after hiking up The Grand Canyon's South Rim. Mandy chillin' at our Farm Market! 2015 our best Heirloom Tomato Season ever!